Underworld demons have spawned on the surface of Mars – time to send them packing. 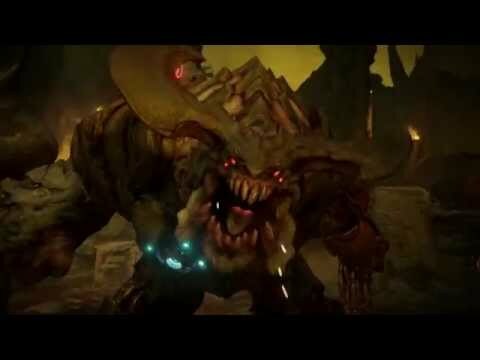 Get a glimpse of the chaos about to be unleashed in the release day trailer for DOOM. When the horrors of hell spill into an abandoned research facility on Mars, you’ll need all the firepower you can carry to survive. A reboot of the iconic shooter, DOOM delivers over-the-top weaponry and buckets of blood to a new generation of gamers. The “super” shotgun, the trusty chainsaw and even the infamous “BFG 9000” are all up for grabs alongside a new suite of ultra-violent, bone-crunching melee attacks. Get armed and give them hell. 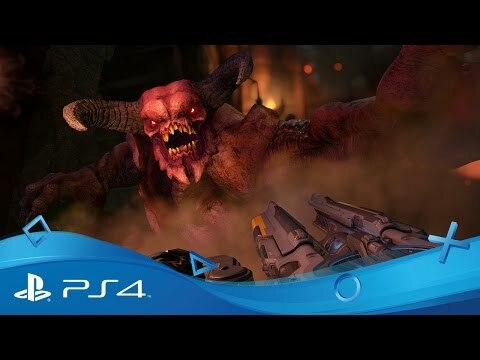 Take the ultimate trip into hell and beyond with PlayStation VR in DOOM VRF. A standalone recreation of 2016's critically-acclaimed shooter hit, DOOM VFR re-imagines the adrenaline pumping action for virtual reality - are you ready to come face to face with hell? Coming to PlayStation 4 in 2016! Descend into hell on PS4.